Amit Khanna pays tribute to Mrinal Sen and recollects their four-decade association. I think I met Mrinal Sen for the first time at a party hosted by Dev Anand to celebrate the International Film Festival in Delhi in 1969. But it was only much later, in 1975, when I became active in the Producers’ Guild that I got to talk to Mrinalda at a meeting of IMPEC (which later became NFDC). He was warm and was not condescending. He discovered that I wrote occasionally on cinema and we had many common friends among the new wave of filmmakers. In 1976, during the emergency a meeting was called by the then notorious minister of information & broadcasting K. Shukla at the CBFC office in Mumbai. The who’s who of the Indian film Industry, including Sen, came and were lectured about “dos and don’ts” by Shukla. There were few murmurs of protest. In my youthful angst, rather impudently, I began to speak about freedom of expression. Shukla glared at me while industry elders apologetically quietened me down. On our way out, Mrinalda held my hand and said “I like your spirit”. 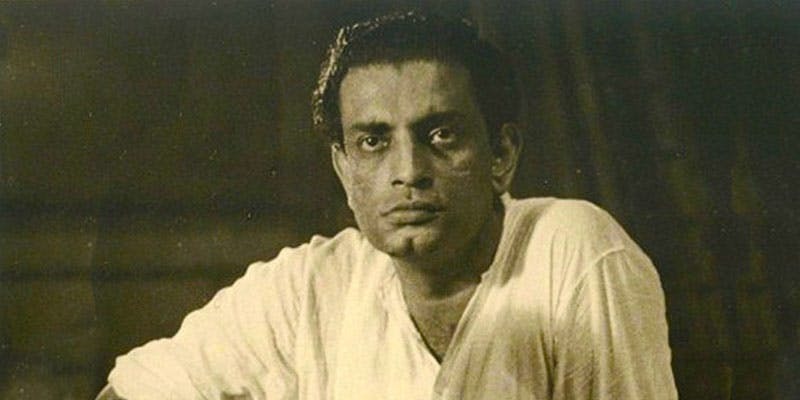 One needs to remember that his film Neeler Akasher Neechey (1959) set in 1930s Kolkata was initially banned by the Censor Board under the instructions of Jawaharlal Nehru’s government, which perceived the film as an endorsement of communist ideology. We kept meeting occasionally at film festivals, government meetings and previews. By the 1980s, I had watched several of Mrinal Da’s films: Bhuvan Shome, Calcutta 71, Interview, Ek Adhuri Kahani, Chorus, Mrigaya, Akaler Sandhane, Kharij, Khandar and Ek Din Pratidin. He had already become one of the most applauded film makers in India, having won many national awards and prizes at Cannes, Berlin, Venice, Moscow, Karlovy Vary and Montreal Film Festivals. Together with Satyajit Ray and Ritwik Ghatak, Mrinal Sen formed the holy trinity of Bengali cinema that was much revered by all lovers of serious cinema. They had an uneasy friendship of sorts; they had a bitter exchange of letters via The Statesman and remained antagonistic towards each other till 1985. I asked Mrinalda much later in 1987 about the controversy. He kept quiet for a moment, and then said while Ray had made a few great films – his personal favourite was Aparjito. Years later, when I asked him again, he felt Ray took himself too seriously. We would become closer friends in the 1980s, when I was making films independently besides writing lyrics and scripts. I was by then an important interlocutor on behalf of the Indian film industry on various issues. I was serving on the governing council of the FTII in Pune, SFRTI in in Kolkata and the film import selection committee (yes, such a committee was set up in the eighties) and the organising committee of IFFI and many other bodies. Later on, I learnt through some of my bureaucrat friends told me that Mrinalda always suggested my name when his opinion on appointments to various committees was sought. One such occasion I recall, much to my embarrassment, is when he openly lobbied with the then minister of information & broadcasting (while I was present) for me to be appointed as the head of National Film Development Corporation. Many years later, when I set up Plus Films, he was one of the first film makers I called to make a film with. Without any hesitation, he agreed and even appeared for our launch function in 1995. He then worked on a script of a Hindi film for which he wanted to cast Shekhar Kapur and Mallika Sarabhai. The film was to be shot in Darjeeling. A few months before we were to start filming, Mrinalda called me one morning and said he had bad news. After completing the script, he wasn’t satisfied and did not want to go ahead. I was disappointed. He told me as soon as he had a story, he would call me . In 1997, at the Moscow Film Festival, where Mrinalda was a part of the jury, he asked to meet him at his hotel. Over a cup of tea with him and his wife Geeta, he took me down to the lobby and in a conspiratorial tone said, “I think I have found a story for the film I will make for you, but please don’t announce it till I complete the screenplay. And since you have already paid me an advance, I don’t need any money now.” I was thrilled. We kept in touch. In 1996, when he was making the international documentary And The Show Goes On – Jean-Luc Godard, Nagisa Oshima and Marting Scorsese were the other co-directors – he used my office in Mumbai as his base. Towards the end of 1999, I called him up and told him that I would be closing Plus Films and accepting an offer from Reliance to start a new entertainment company. He called me in 2001, saying he had decided to make a new film. Reliance Entertainment had still not ventured into making films, but I told Mrinalda I would figure a way out. My dear friend Yash Johar has just produced a massive hit (Kabhi Khushi Kabhi Gham directed by his son Karan) and one day, I was chatting with him about trying to do Mrinalda’s project outside of the Reliance fold. I called Mrinalda that evening to inform him. I don’t think even Karan Johar is aware of this, but Yash went to Kolkata for a day to meet Mrinal Sen. Mrinalda called me and said he liked Johar’s warmth but he would think about it. However, he subsequently informed me that he had found a Kolkata financier, P.K. Gupta. That was his last film, Amaar Bhuwan (2002). We never did make a film together, but I treasure the many hours spent with him over the past four decades. 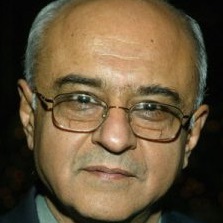 Amit Khanna is a writer, poet, film maker and media entrepreneur.